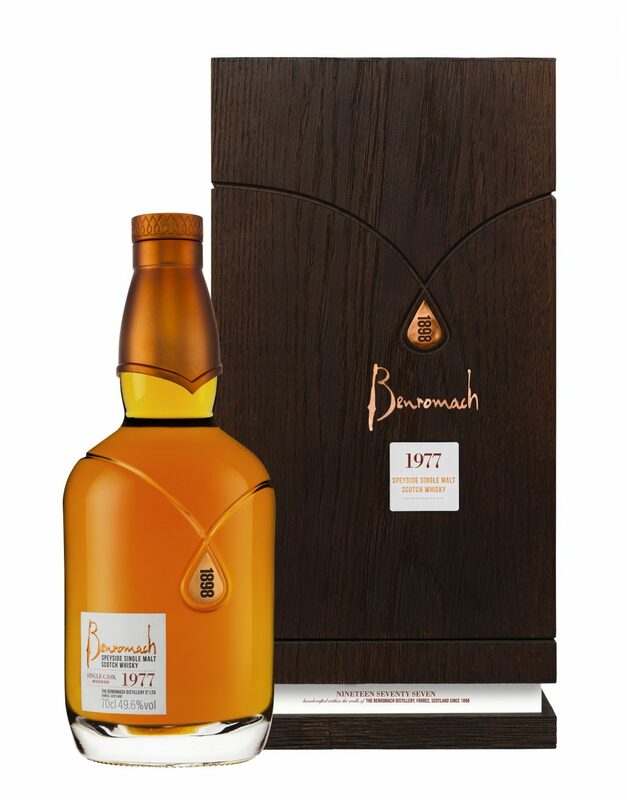 December 13, 2018	NewsChristmas., Collectible, Fathers Day, Gifts, Rare Malt Whisky, Single Malt, The Macallan, Whisky auction. The Macallan has unveiled a new and remarkably rare limited edition single malt whisky with only 250 individually numbered bottles available worldwide; The Macallan 52 years old 2018, never to be repeated. 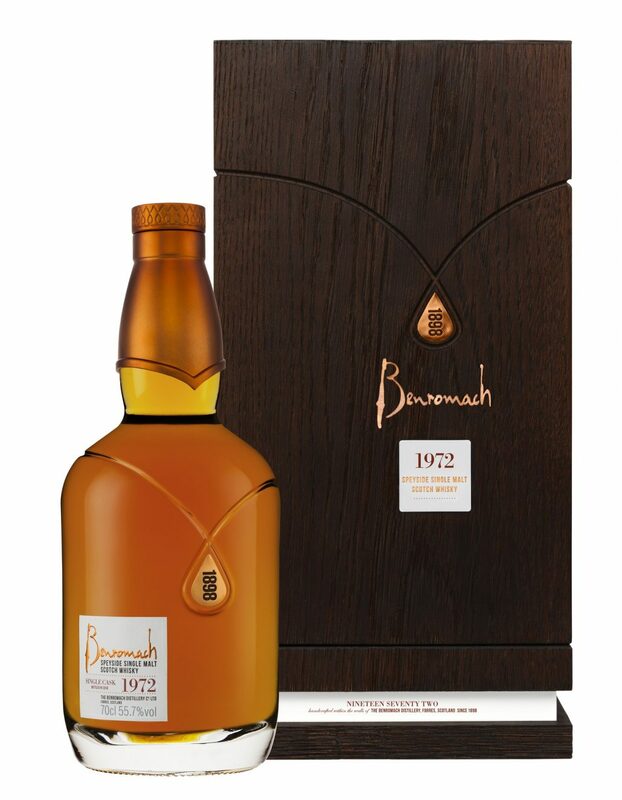 This latest classic-aged statement has been slowly matured for fifty-two years in one exceptional, hand crafted first fill European oak sherry seasoned cask from Spain. It is a whisky defined by an unwavering pledge to create peerless single malts and reflects the unrivalled commitment to the mastery of wood and spirit for which The Macallan has been renowned since its inception. Laid down to gently and quietly mature in a warehouse overlooked by Easter Elchies House, The Macallan’s spiritual home since 1824,The Macallan 52 years old has acquired a robust elegance from the luxury single malt’s iconic curiously small stills. The quality of the spirit is a testament to The Macallan’s exceptional oak casks, which are sourced, crafted, toasted and seasoned under the watchful eyes of The Macallan masters of wood and delivered through the years to the exacting specifications of generations of master distillers. These casks provide the greatest contribution to the character, natural colour, distinctive aromas and full flavours at the heart of this single malt. A complex whisky presenting rich fruit and dark chocolate fondant characters, The Macallan 52 years old is a beautiful deep ruby mahogany natural colour. Rich cherry and dark chocolate open on the nose with a hint of antique oak before wisps of floral orange blossom combine with delicate layers of peat smoke. 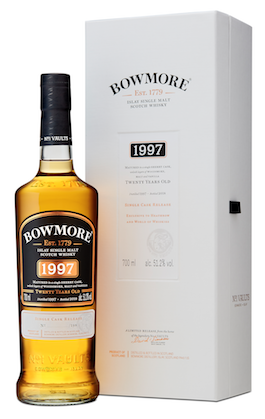 The palate leads with flavours of rich fruit and dark chocolate fondant soon making way for hints of peat smoke that combine with cinnamon and ginger from the wood spices. The finish is long with notes of sweet oak, cherry and blackcurrant mellowing out to a floral and lightly peated finish. 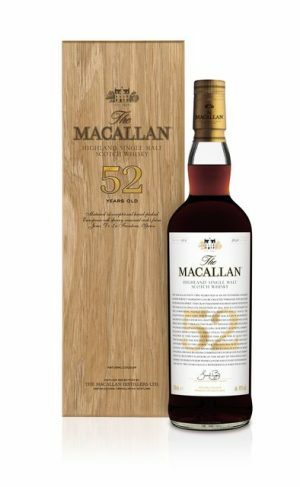 Bottled at an ABV of 48% The Macallan 52 years old is presented in a luxurious solid oak box featuring an etched face inlaid with a matte gold badged age statement, reflecting the intricate designs for The Macallan 25 years old and The Macallan 50 years old of yesteryear. The Macallan 52 years old 2018 limited edition release will be available from December 2018 and will be limited to 250 individually numbered bottles worldwide, with an estimated retail price of £38,500 / $50,000 per 70cl bottle. Nose: Rich cherry and dark chocolate layered with antique oak. Wisps of floral orange blossom combining with delicate layers of peat smoke. Palate: Rich fruit overlays dark chocolate fondant, wisps of peat smoke meet cinnamon and ginger from the wood spices. Finish: Long finish with notes of sweet oak, cherry and blackcurrant mellowing out to a floral and lightly peated finish. Two Design & Packaging ‘Master’ medals were awarded to the Connoisseurs Choice range which sits at the heart of Gordon & MacPhail’s portfolio. Celebrating its 50th anniversary in 2018, Connoisseurs Choice has two distinct bottle shapes and packaging, both of which have been recognised with a ‘Master’ accolade. The new premium look and feel rewards whisky drinkers with a thirst for knowledge, incorporating a detailed description of the whisky’s provenance on the label. The Gordon & MacPhail branding is also much more prominent compared to previous incarnations. 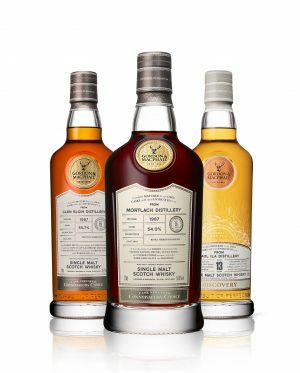 The newest addition to Gordon & MacPhail’s portfolio, the flavour-led Discovery range was also recognised with a ‘Master’ award. Launched in May 2018, the range segments releases into three flavour profiles, ‘Smoke’, ‘Sherry’, and ‘Bourbon’. Each Discovery whisky displays a bespoke illustration, designed for each profile in a contemporary linocut style, conveying key flavours. For more information on Gordon & MacPhail visit www.gordonandmacphail.com.